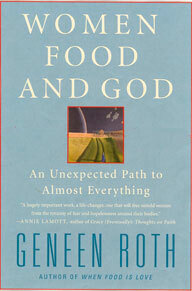 I just finished Geneen’s audio book for the second time…and it was riveting…finally, something has clicked for me. This ‘bolting’ concept was amazingly simple. I’ve always done it…even if only in my mind (and body) to leave before being left. The idea of realizing that I’ve already felt the pain of being destroyed and simply feeling ‘pain’ wouldn’t ‘destroy’ the woman I have become….aha moment. Your synopsis was terrific though I found myself wondering if I’d written your second paragraph…. 🙂 Wishing you joy and finally an end to the war…. Thank you, Michele for taking the time to read my thoughts..and even more for sharing yours! I still find myself “bolting” from time to time, but the difference now is I KNOW what I am doing and am able to recognize it…and choose to change that behavior. Recognition is the first law of learning :). It’s a good thing :).